Renthal Ultralight Rear Sprockets start their lives off by getting CNC machined from 7075 T-6 aluminum, an alloy that is prized for its strength and wear resistance. A near perfect material for sprockets. 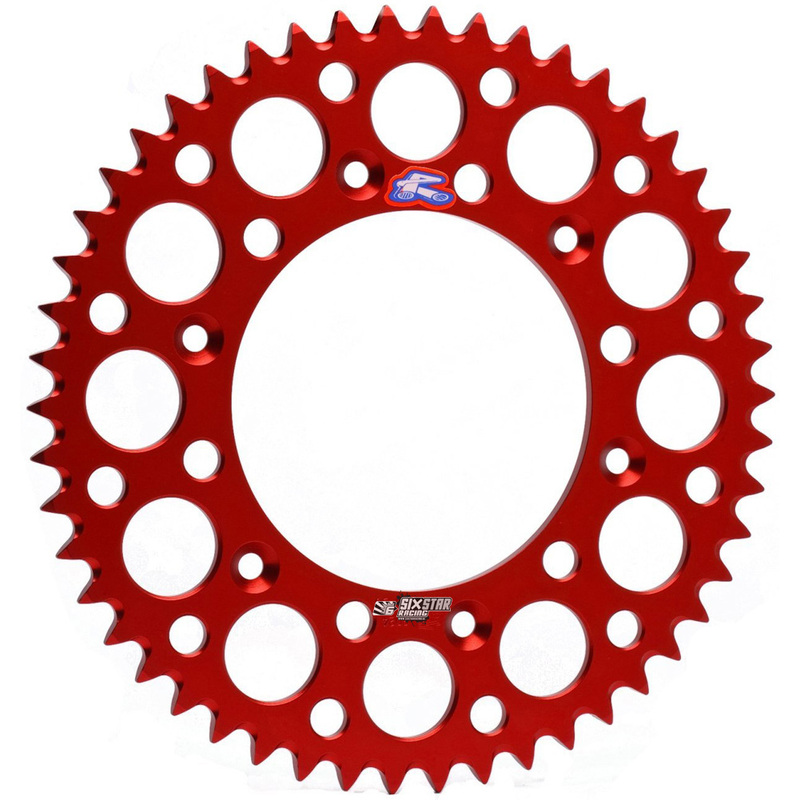 The alloy is light weight, and with Renthal’s drilled patterns, the Ultralight weighs up to 66 percent less than comparable steel sprockets while retaining a comparable lifespan. The material isn’t the only thing that promotes longevity. Self-cleaning cuts are machined into each chain groove to clear away mud and debris from sensitive wearing surfaces, so both the sprocket and chain are kept clean of abrasive particles. There’s almost no downside to putting a Renthal Rear Sprocket on your motorcycle or ATV.